There is a growing consensus among journalists and editors that the present embargo system is broken and should be abandoned. It is a subject I’ve written about before, both on this blog and elsewhere. It is a subject I’m confident that I will find myself writing about again. Embargoes are supposed to be used to allow us specialist writers a preview of a story, so that we can do our own research on the topic and have a well-crafted article ready for when it goes ‘live’. Usually this is timed to coincide with the publication of some new research in a peer-reviewed journal. If that was all that they were used for, that would be fine. Today we find yet another example of the abuse of an embargo. Those nice people at the Biotechnology and Biological Sciences Research Council, BBSCR, issued a story yesterday (Tuesday 10 May 2011), based on a paper soon to be published in the Journal of Experimental Biology. The news release had attached to it a short embargo – just two days – expiring on Thursday 12 May. Over 24 hours later, and with just 15 hours remaining of the original embargo, BBSRC has attempted to add a further two weeks to the embargo, taking it to Thursday 26 May. Luckily for me, this particular story was one I didn’t pursue. But if I had, perhaps spending a good part of a day honing an article on a specific commission from a newspaper or magazine, I’d be mightily unhappy to have the rug pulled from under me like this. In fact I’d probably fail to see the attempted embargo extension, because I can only see in visible light. 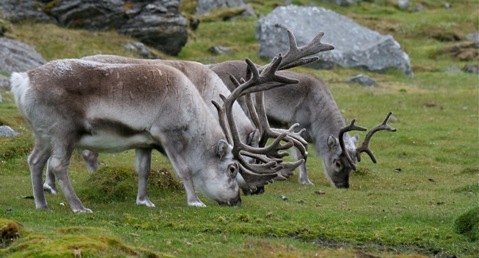 I hope you like the picture of the reindeer, by the way.